401Ks | 403Bs | TSPs | And more! Help protect your gains with AssetLock®: The chart above demonstrates using AssetLock® with a portfolio where a 10% AssetLock® Value was chosen. Assuming an initial deposit of $100,000 and eventual growth to $146,793, the resulting AssetLock® Value would be $132,114. The chart above demonstrates using AssetLock® with a portfolio where a 10% AssetLock® Value was chosen. 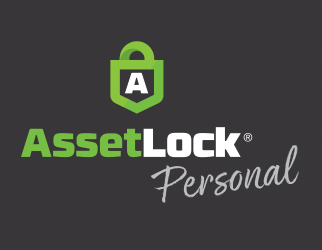 Assuming an initial deposit of $100,000 and eventual growth to $146,793, the resulting AssetLock® Value would be $132,114.